Monrovia – Alexander Cummings worked his way to the top of of one of Corporate America’s biggest brands, as the former Executive Vice President and Chief Administrative Officer of The Coca-Cola Company. 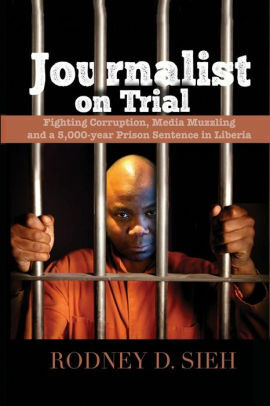 Mr. Cummings has since taking his exit from the company in March, shifted his attention to what inarguably could be his greatest challenge, a pursuit of the Liberian presidency. Over the past few months, Mr. Cummings has been feeling the pulse of communities and trying to get an understanding of a somewhat rugged political terrain. Born in Liberia, Mr. Cummings joined Coca-Cola in 1997 as Region Manager, Nigeria. In 2000, he was named President of the Company’s North & West Africa Division. In March 2001, he became President and Chief Operating Officer of the Africa Group, responsible for the Company’s operations in Africa, encompassing a total of 56 countries and territories across the continent. Prior to joining the Company, Mr. Cummings held several positions with The Pillsbury Company in the U.S. In his last role as Vice President of Finance for Pillsbury International, he had financial responsibility for a growing $1.2 billion international branded food business with operating companies in 16 countries. Mr. Cummings holds a B.S. degree in Finance and Economics from Northern Illinois University and an MBA in Finance from Atlanta University. Mr. Cummings will be hoping that that his homeland will embrace his quest for the presidency even as he fights off questions about his citizenship and residency requirments. The former Coca Cola executive sat down with FrontPageAfrica for an exclusive interview at the weekend during which he addressed those issues as well as his position on gay rights in Liberia, corruption, nepotism, reviving the economy, war crimes tribunal and his bold and ambitious plan for a unify government of inclusion if given a shot at the presidency. FRONTPAGEAFRICA: You have been making the rounds lately en route to you quest for the Liberian Presidency. Where are you now in this process? ALEXANDER CUMMINGS: I always like to start by saying I’ve been around a long time and I am actively engaged in pursuing the Presidency of the Republic of Liberia. I believe that my background, my experiences, my love for and commitment to Liberia compels me to make my case to the Liberian people to lead them. And so I have been encouraged by all of the conversations I’ve had, the meetings and groups have met and of course you take a little bit with a grain of salt; in politics, I understand that. But I say unbalanced very encouraged from all of the different constituencies I’ve met. Of course the work is just beginning and I have a lot more to do, a lot more travel. I want to get to all 73 districts, the work is still ahead, but I’m encouraged by where we are today. FRONTPAGEAFRICA: Your critics say you do not have enough time to pull this off because you’ve been away for such a long time. How do you think you can cover to gap you have lost so far? CUMMINGS: Well, I think we have seventeen months, we’ve made a start already. My critics might be surprise as to even the kind of organization we’ve already built in quite a few counties. So the work is not just beginning; the work has begun and you know I often say to people, my wife that sleep is overrated; we will work. There are three working days in every 24 hours and so we will take advantage of the time we have and we’re going to work very hard. But it is not just about the meetings and conversations, it is about doing small development projects around Liberia which I think will also propel the need. FRONTPAGEAFRICA: What are some of the things you have been doing so far since you been here? CUMMINNGS: In addition to having meetings, as you know we’ve been investing over the years in water projects in Liberia, in education in Liberia, we’ve personally given scholarships to Liberians both here in Liberia and in the United States, we’ve helped individual Liberians with health challenges. So we’ve been quietly involved in supporting Liberia and Liberians and we will do more. You know Rodney no matter what the outcome is – of this quest- if you will – the philanthropic efforts will continue. We’ve opened and established the Cummings Africa Foundation, small foundation, small staff, we’re doing projects already. But that foundation will endure no matter what happens and that work will continue. FRONTPAGEAFRICA: There have been a lot of discussions on social media that perhaps there other ways you can contribute to Liberia other than becoming President. How do you respond to those concerns? CUMMINGS: Well, I think that perhaps that’s a narrow view and the way I think about is that there are other ways to help Liberia and Liberians but the presidency is the most impactful way to do that and I want to impact all four and a half million Liberians. I could go the philantropic route and as I said I will pursue that no matter what but that philantropic I might get to a few thousands, even a few hundred thousand Liberians but there are four and a half million other Liberians that I believe we can impact and so my goal and my objective is to offer myself, make my case as to why giving me the reigns of the country, I can change the lives of all four million Liberians as supposed to a few hundred thousands. FRONTPAGEAFRICA: In 2005 we had about 22 candidates pursuing the presidency. This time around, as I speak to you we’re looking at possibly 24. Have you been able to mobilize other parties in terms of coming together in some form of coalition because even the incumbent President Ellen Johnson-Sirleaf, in an interview with us the last said no one political establishment will win the presidency. What’s you view on that? CUMMINGS: We are in discusssions with other political parties as we speak; including some of their leaders; because I agree, it will take some coalition of individuals and parties to win the election. Even more important though Rodney, I think it will take a coalition of parties and individuals that actually leads the country. One of my commitments to the Liberian people is that I will build an inclusive government; a government that reflects all Liberians, people from all geographic, ethnic, religious groups. Because I think the changes required to move our country ahead, requires that we have as many people in the tent as possible. You know inclusion is a very powerful motivator. To help all of the constituents understant the choices we need to make, the sacrifices, etc, we will need to have Liberians that can work together. So we need an inclusive government and that process begins now and as I said we’re in preliminary discusssions for a variety of political parties and individuals to come together, to not only win but to lead the country. FRONTPAGEAFRICA: What recipe do you have to reconcile Liberia if elected? CUMMINGS: I believe that one, having a truly inclusive government is one way we could start the reconciliation process, I think two, we have to look back and understand why we have perhaps the rift and challenges we have, we need to celebrate each other, we need to look at our national symbol. I believe there was a commission happening there; but we need to revisit that and make sure our national symbols all of Liberia and so understanding and accepting the fact that we need to reconcile ourselves you know. Reconciliation is like an alcoholic. If you don’t admit that you have a problem, you don’t begin to solve the problem. So we have a problem, let’s come together as Liberians as I mentioned, inclusive government, national symbols, conversations. You know the Truth and Reconciliation Commission had a list of things; recommendations. I want to focus on those positive recommendations that was all about reconciliation and about moving forward and I am committed to actually doing that. FRONTPAGEAFRICA: The TRC also talks about holding people responsble for war crimes. Do you favor a war crimes court for Liberia? CUMMINGS: You know I think our constitution says innocent until proven guilty and I think we should let the Liberian court system handle any issues with regards to bad behaviors in the past. I want to focus on reconciling the Liberian people; I want to focus on the future and I think that’s more important. But I think we should let the judiciary system take care of any quote on quote punishment – if there is to be. And again, our constitution says innocent until proven guilty and we should let the system handle that. FRONTPAGEAFRICA: You come from a business background after spending years at Coca Cola and other major companies in the United States of America. Liberia is at a crossroads right now with a lot of international economies are collapsing, natural resources like Oil, iron ore, diamond, gold and what have you are taking a hit in prices amid a tumbling market. How do you think your experience can inject some kind of life into what Liberia is facing and rescue the economy? CUMMINGS: You know I often say to people, large corporations are similar, not exactly the same, as governments. They’re similar in the sense that you have to manage large complex organizations, large budgets. And I remind the Liberian people that the operaing budget I managed prior to retiring from Coca Cola was a lot bigger than the budget of the Republic of Liberia. You manage all the challenges with people. Once you have people involved, it is a bit of politics and so there are a lot of similarities to a large degree and my experiences having done it very successfully; will lend itself to managing the Liberian economy and the Liberian people. The way to think about this is first, I said we have to grow the revenues of the country to do anything. You know all the challenges: infrastructure, education, etc. It begins with having the funds to do it. And so as we speak we have commissioned a small team of Liberians to begin to look at how we can grow the revenue base from 650 million to a billion etc… etc… and by doing that we will create the flexibility to address the issues. So that’s one thing. The second focus area of mine is in the immediate future is trying to find ways to create jobs and the way we do that is by providing skills to our young people which is a nice segway into my priorities for education; it’s early childhood education, it’s vocational training because again, it leads to jobs. You know we’re in the process now, my wife and I of building a place and we’ve been challenged finding Liberians with carpentry skils, electrical skills, plumbing skills etc and I think one way to resurrect the economy is to provide those skills and as you invest in infrastrucuture and those kinds of things you wil create jobs and as I mentioned you have to create the revenue base to do a lot of those things. So all of those things are interrelated. I also offer the fact that we all know what needs to be done. Again if you look at my track record and history, I’ve had success at every level in business and I think I can bring the same thing to bear in Liberia and focus on how we go from where we are to our aspirations. And again, we’ve got teams working on all the different sectors so that if we’re successful, when we’re successful, we’ll know what we need to do to begin to resurrect the Liberian economy. FRONTPAGEAFRICA: Is agriculture one of the areas your team of experts and Liberians are looking at because next door Ivory Coast under Alhassan Ouattarra has been successful in making a major part of rebuilding the Ivorian economy? CUMMINGS: Yes it is. Agriculture is a primary focus Rodney. We’ve got to be able to feed ourselves. As you know we import. The numbers are high I think in the 200 million dollar range – when it comes to the import of food stuff. We have to change that dynamic. It will not happen overnight but it is going to be a focus area of our administration. And by the way, there are Liberians who know the solutions. I’ve met with a group of Liberians who have a blueprint for how we can scale up our agriculture sector, it is al about the will to do it, it’s all about the focus. So the solutions exist and I’ve asked them to share with me the work they’ve done, they’ve explained it but the point is, it is going to be a focus area, it creates jobs, you feed yourself, we reduce our dependance on imports, it will help the economy because from a foreign exchange perspective all of our foreign exchange is now going out. So agriculture has to be a priority. We have to be less dependant on commodities, iron ore, rubber in the wake of what’s happening in the world. So for all kinds of reasons, I have a lot of passion for agriculture and making sure as a government we’re focused on that. We need to think about resurrecting the Agricultural Cooperative Development Bank, financing is a big barrier. I know the ministry of agriculture today has a very large extension program, we need to augment that, supplement that so that we provide skills to the farmers. Farmers need a ready market for their products. We used to have the Liberian Produce Marketing Corporation, we need to revisit that, restructure that so that when people grow their produce they know that there is a buyer so all of those things are in our plans. But the blueprint exists. Some of those things we did in the past, somethings we have to adjust to today’s realities. But the fact is that a blueprint exists and it will be a focus of ours. FRONTPAGEAFRICA: Let’s look at the issue of corruption. It has been a major problem – even before the current government. What blueprint do you have to curb the issue of corruption? CUMMINGS: The blueprint starts with us as Liberians acknowledging the fact that in some ways we are probably all a bit corrupt. And let me tell you what we mean by that. Almost every Liberian has either in the past or today; has given somebody a bribe to facilitate whatever they needed to get done, to get to the front of the line; as simple as that. And when you give somebody a bribe, you are corrupt as the person who receives the bribe. So we have to take a step back and understand that we all have a part to play in stamping out corruption. It’s not just the government per se, although the government has to take the lead in actually doing that. Whether you steal ten dollars or you steal a hundred thousand dollars, you are a rogue. We need to acknowledge that fact. One need to admit in one way, shape or form. So that’s the first thing. Secondly, we have to be systematic about how we go about it. We have to look at where we can simplify things, where we can reduce the number of times somebody has a discretion. Because when people have a discretion, it creates an opportunity for them to bribe. We have to look at the number of points where people do things things and again minimize those. And there’s a major role for punishment in bribery. So if Alex Cummings accepts a bribe or steal from the coffers of the government, Alex not only needs to lose his job, Alex needs to be prosecuted. There has to be consequencies for our actions and historically we have not had any or we’ve not had enough consequencies of our actions. So we have to be systemic about it, we have to recognize it will not change overnight. We need some symbolic actions like punishing big people or friends of Alex – if they’re corrupt but we also need to admit as a people that we all have a role to play in fighting corruption and we have to be systematic about it, we have to simplify. There is an example I give, I don’t know how practical this is by the way, Rodney. But it’s just illustrative and I want your readers and viewers to take this in this sense. We as I mention, we’re building a place and everyone in Liberia needs to import a lot of materials and we tried to clear stuff through the port ourselves to just experience it and it was a nightmare and the thought came to mind – and again – I don’t know how practical this is – but it is just illustrative; what if we said, for every container that comes through the port is a thousand dollars, no matter what is in there, right? That is a simpler process to monitor. So if you get ten thousand times a thousand dollars, whatever the math is, is a million dollars, you can monitor a simple program. There is less discretion on schedule and then over time as we can get more sophisticated with technology, you can get more sophisticated than that. But that’s an example where you can simplify things and minimize opportunities for people to be corrupt. And those are the kinds of things we need to do. So my point is we have to be very systemic about it, we have to think about it wholistically and then we got to have consequencies for people who are caught. If Alex Cummings gets a contract to build a road, build a bridge and he doesn’t do it or he does it half way, there has to be some conquencies for that because that is a form of corruption. So again, I have a lot of passion for this, I think we can solve this issue. I don’t believe it can happen overnight because it is so endemic but we can progress with it. And anybody who is associated with Alex Cummings or a Cummings-led government has to understand that there has to be consequences for corruption. You know there are rogues everywhere in the world. At Coca Cola we have a code of business conduct like we do here. The difference is we enforce it and we enforce it for everybody. So bad behaviour is not unique to us. It’s all about consequencies and how you enforce it and minimizing it and rewarding good behaviour. So there’s consequencies and rewards and we have to do it. FRONTPAGEAFRICA: On the surface it sound like a good plan but Liberia is such a small country and even the president has acknowledged that because everyone here is connected it can difficult to enforce. How do you deal with the issue of nepotism, the hiring of relatives and friends in government? CUMMINGS: I will minimize that dramatically because I know of the history. And even if your relatives are competent and doing everything on the up and up, the fact that they’re your relative will create noise and distraction. I think it will be unwise for me to say there will be no relatives in government. So there will likely be a few but even they would be held to the same standards. FRONTPAGEAFRICA: But the code of conduct doesn’t say limit, but I believe a zero tolerance on this, no? Oh I know your mother and your mother knew my father, people shouldn’t just line up outside the door and say you can’t fire Rodney Sieh or you can’t fire Alex Cummings because if Rodney or Alex or whomever breaks the laws of our country, we need to enforce the punishment. You know I often ask people what can we do for you, I say the first thing is to pray for two things: For wisdom and for courage, not to win the presidency, God will decide that. And the courage part comes to things of not just corruption but if you have to fire a close friend. You know sometimes close friends are even as close as relatives. You know so we talk about the blood relationships and the courage to say you know what, you just violated the rules of our country, we’re going to fire you, that requires courage, that requires conviction and I believe I have that but I ask people to pray with me to make sure I keep to what I’m committed to the Liberian people. FRONTPAGEAFRICA: Still on the issue of corruption, a lot of audit reports have been done in this government. Would you prosecute base on those audits? FRONTPAGEAFRICA: There has been a lot of controversies about your candidacy. One of the issue that has been dominant is the one regarding your citizenship. Where are you on that? Are you a Liberian? Are you an American? What is your status? CUMMINGS: I’m a Liberian. You know I was born at the government hospital here on Snapper Hill and went to Demonstration School, Cuttington, you know the history, no need to repeat that. After undergraduate school I came and work. I have a Liberian passport and I often say to people, I was born a Liberian, I am a liberian and I will probably die a Liberian. FRONTPAGEAFRICA: But there is also this issue of the residency clause where you must have resided in Liberia for ten years prior to the elections. Your critics and some opponents are saying that you haven’t been here continuously. How often have you been in Liberia in the last ten years? FRONTPAGEAFRICA: Do you think the Liberian laws are discriminatory toward non negroes and what is your view on the dual citizenship issue? CUMMINGS: The dual citizenship issue, I believe Liberia should allow dual citizenship. I think many, many of our fellow Liberians for a variety of reasons. Some because of circumstances beyond their control, some because of choice have assumed nationalities of other countries. I think we should embrace them. I think we should welcome them and I think we should allow dual citizenship. As you know all around us in Africa, in other parts of Asia, most countries today allow dual citizenships because for a variety of reasons their citizens have gone and comeback and had their citizenship so I think we can leverage all Liberians in the transformation of our country. So I am in support of dual citizenship. On the issue of non-discrimination, I think in the 21st century we have to really think about whether that is something we want to maintain or something we want to change. I will lean toward us being non-discriminatory based on race but it is one I’m asking the team to take a look at. What are the implications and what does it mean for the Liberian people but my bias would be to not discriminate based on race. At present, some bias is there but we’re looking at the implications. FRONTPAGEAFRICA: So you think, non-blacks should be allowed to become citizens in Liberia? FRONTPAGEAFRICA: The argument against that is that because of the dual citizenship issue those in Liberia, speaking from experiences fear that those from outside particularly America would come to get a government job, engage in corruption and flee, leaving the country at a loss with no way of recouping whatever was taken with no real guarantee that they would be prosecuted here. CUMMINGS: And that’s part of the criteria, that’s why we need to look in to make sure if and when that happens we can make sure we prosecute them and even make sure we detain them so that they cannot take flight and avoid prosecution. FRONTPAGEAFRICA: Who do you fear the most of all the candidates in the upcoming presidential race? CUMMINGS: All of my competitors I fear, each and every one of them. By the way I don’t view them as enemies, they are all patriotic Liberians, we are just offering the Liberian people different alternatives for the leadership of the country and so I have respect for all of my competitors. And I’m going to be focused on winning this election against all of them or any one of them. And I don’t believe I am afraid of any one versus the other. They all will compete fiercely as I would to win the hearts and minds of the Liberian people. FRONTPAGEAFRICA: Last week the Senate debated this issue of reducing the number of political parties to four. It may not happen in this elections but in the wake of all the noise surrounding the proliferation of political parties, if you were approached to form part of a dream ticket with any of the other candidates, would you give it serious thoughts would you be open for a second spot? CUMMINGS: I think there are a couple of ways to answer that question. It depends on the number of political parties. I think we’re a relatively new democracy and people want the right to express themselves and over time as democracy evolves. And I also think that as Liberia becomes more and more prosperous, and there will be hurdles and through that process we will have to build our democracy. So I am not that concerned about the proliferation of political parties. The natural course of events will shrink it. So I think that’s how that will evolve. The question about coalition and working with others. I’m open to the conversation with any and all political parties. What I will say though is my interest is in running for the presidency of Liberia. I’m not doing this to get my name out there so I can run the next time. I’m going to do this with every fiber in my body, with the resources I can muster from the Liberian people to win the leadership of our country. As I mentioned earlier it will need to happen through coalitions, through conversations. I don’t want to presuppose what the shape of that would be. I think all of us going into this conversation need to be open to whatever the outcome comes out and I’m going to go into this conversation opened to that. Again, I’m not doing this because I’m vying for political relevance. You know I often say, I don’t want to say this arrogantly, I’m sincerely not interested in the money that the job offers, cause I’ve been blessed to have resources, I’m not interested in the trappings of the job because I’ve been blessed to experience many if not all of the trappings. I’m doing this because I want to serve the country of my birth, I want to serve Liberia and Liberians. You know as a Liberian and I look around us, I passionately believe we can do better and we deserve better and this is what I am trying to do. FRONTPAGEAFRICA: Now Africa is a strange continent. People come and aspire to become Presidents and when they get there it is a totally different ball game. What guarantees do the Liberian people have that when Alex Cummings is elected he will falle prey to the trappings that have led others astray and away from their promises and pledges? CUMMINGS: I think Liberian people need to look at my track record. The best predictor of human performance is past history and I would stand my record up, Rodney, I was at LBDI, I went to graduate school I joined the Pillsbury company at 36 years-old in 1997, do the math, I’m 59, sorry 1993. I became the youngest officer as vice president of finance and all subsequently my records are there. I joined Coca Cola, I went to Nigeria and turned our business around. I went from a region manager in Nigeria in 1997 to group president for Africa in 2000 in four years. It has never happened that fast in the company’s history, it hasn’t happened since. But it was all about accomplishments and successes. We took the Africa group, we grew our revenues, we more than double our earnings, we created the Coca Cola Africa foundation, the biggest Coca Cola unit within Coca Cola today. In my last role I had to move away from most of our global corporate functions. So the track record is there and it is a record of success and I can put up my record against the alternatives and again, I think that the best predictor of future success is past performance and my past performance has been one of success. So yes, I’ve been blessed in life and I acknowledged that and I also work hard, I work smart, worked with the right values and integrity and I think that is the best predictor Liberians can look to determine whether I will be successful or not. FRONTPAGEAFRICA: Why did you choose ANC, the Alternative National Congress as your launching pad? CUMMINGS: Several reasons, one is, I’ve known many of the ANC members for a very, very long time and I have a lot of respect for them. Even those here and those members in the United States. I look at the party platform, their beliefs, their vision. Their simple motto: Liberia First, that alone was appealing to me because it has to be about Liberia first, Rodney. If you look at their belief in local government. All of these things resonate with me, focus on education and helping people-centered government, all of that resonates with me. So it was about the people in the party that I believe I connected with very well, it is about the beliefs, the vision the values of the party that I connected with very well and I think the combination of those things and what I bring, made ANC for me the logical choice to associate with. FRONTPAGEAFRICA: One issue that has been out there is your position on gay rights. There are a couple of variations out there of what you may or may not have said recently that is buzzing on social media. What is your position on the gay rights issue? CUMMINGS: You know a lot of my competitors and understandably will look for issues and that’s politics. Because they cannot tag me to many other things that we will tag them on by the way, this is the game we’re playing. I think they know that we are going to come hard on the issues. This is not a softball game we’re playing hardball here. They’ve seized on this issue. My position is that as a christian I don’t support or subscribe to that lifestyle. But I also believe that we have to obey the laws of the land of Liberia and as president of Liberia we will follow the laws of the land of Liberia but to be very clear as a Christian I do not subscribe to that but our constitution proposes non-discrimination etc….etc. and we have to uphold it. FRONTPAGEAFRICA: Finally, if you had one chance to speak to the people of Liberia. How would you sell your candidacy and how would you convince them that you are good enough to get their votes? CUMMINGS: I would ask the Liberian people to look at the track record of the person, to think about, given my track record, to think about what would motivate me, why do they think I would want to do this because given the blessings I’ve had in the past, this is clearly a choice to do this and not of the trappings and none of the rewards that come with the job, is something that I actually need but I truly want to serve the Liberian people. So I ask them to look at my record, I’m asking them to at least be open. I will try to reach as many of the four and a half million Liberian as I can and I think in those interactions, in those conversations I am committed to changing this country and improving the lives of the people of Liberia. You know there’s the head and the heart in case of what motivates people. The head is almost everything I’ve said to you; the heart for me, I went to a church in Liberia late last year and they have a kitchen where they feed young kids and the pastor said you know Alex, most of these kids, we give them the only meal they have a day. You know most of their parents make 50, 60, 70, 80 dollars a month and Rodney, that touched my heart. And we can’t after 169 years be living in a country where our kids only get one meal a day and although its not something I am promising we will change overnight but it is something we’re going to change, that really touched my heart. I also passionately believe that Liberians can change Liberia. We got the capacity, we got the intellect, we’re no different from Nigeria, Ghanaians, Americans, and we can do this. It’s all about the will; it’s all about the commitment. I’m not saying to the Liberian people that I am the only guy that is going to do this. I will build a team of like-minded Liberians to change this country but I believe we can and I am committed to that and I will work every day, one to earn the trust of the Liberian people but after earning their trust I will work every day to change the lives of the Liberian people. So I’m very passionate about this. It’s a daunting undertaking but it’s also an exciting undertaking. I am enthusiastically going to make the case for why I should do this.